Are you a Snake Pit connoisseur? 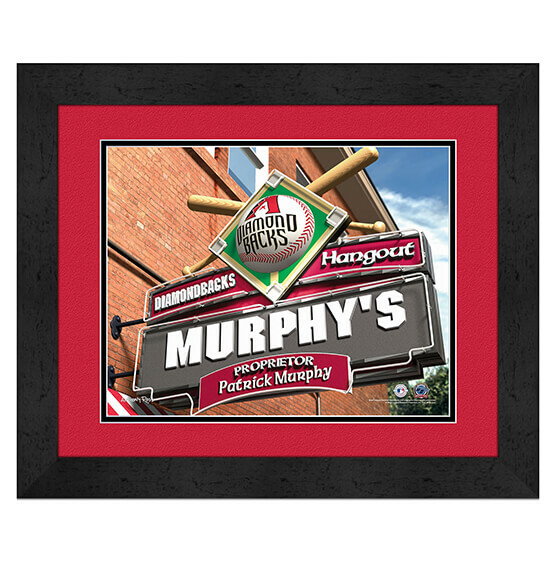 Show your D-Backs fan status and prowess with this unique Arizona Diamondbacks Personalized MLB Pub Sign Framed decor. With its custom design, mat look and team colors, you're sure to blast a four-bagger in the decor situation of your home or office. Featuring an elegant black frame and a full-color, made-to-order print, this personalized wall decor will look great and be cherished for years. It comes ready to hang thanks to the ultra-convenient sawtooth hanger. Show your love for the D-Backs with this spectacular wall art!